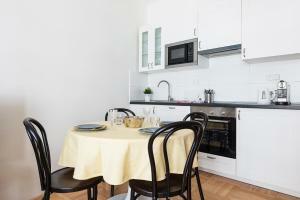 Close to the main city attractions, very friendly owner, clean And comfortable apartment, all facilities where fine. Highly recommend! Beautiful accommodations in a great location. Hanaan was an amazing hostess! She answered every question we had prior to our arrival, gave us easy to follow instructions from the train station to the flat, and helped us arrange transportation to the airport when we left. She had excellent suggestions for restaurants, and helped us plan the perfect itinerary to see as much of Prague as we could see on our short stay. Fabulous, sparkling clean and warm accommodation and a Christmas tree - what a lovely touch. Hanan is very easy to communicate with - she suggested WhatsApp. She provides a map and gave us ideas for restaurants etc which was great. I struggled to find a 2-bed apartment (with a lift) for 4 of us. 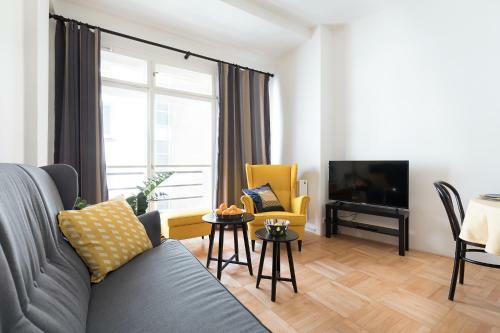 This has 2 bedrooms and 2 loos which I think is great value - and it's only a 10 minute walk to Old Town Square. Has a dishwasher (tablets supplied), washing machine and Nespresso coffee machine so suggest taking supplies if you want to use the washing machine and like coffee (8 pods were supplied). Imperial Cafe 10 min for breakfast is definitely worth a visit as is Krcma restaurant - go hungry! Would definitely go back. Location very good,quiet road,hannan was very helpful. If you are looking for excellence go to Hanan’s Benedikt. The apartment was just awesome and well located in the center. Our host Hanan took care of us in a very professional manner. Thank you for your warm welcome and see you soon Hanan. We had a difficult check in due to flight issues, but Hanan was fantastic, understanding and very flexible. She was a brilliant host -- we found the place to be very clean, comfortable and convenient. Plus, the location is in a central part of Prague with good travel routes to get to places. The neighbourhood is very safe and we had no issues with nearby residents. ATMs are relatively close by, as well as good breakfast and dining places. Hanan was happy to provide a taxi service as well as recommendations as to restaurants, stores and places to see and do (ask her for places to eat -- she knows of a brilliant traditional Czech restaurant within walking distance! Plus she recommended that I read a very wonderful Czech book called 'The Good Soldier Svjek' by Jaroslav Hašek, which I am currently enjoying reading!). Overall, I had a splendid time at this flat and would gladly stay here again if I return to Prague. 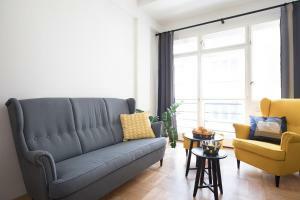 Great apartment in Prague 1, even better than in photos. Hanan has been a great and friendly host, she also spoke Italian so it's been another good surprise for us. We'll definitively come back in future. The best place for pragian days! such a lovely and very good apartment! And the best housewife i've ever met. If i return back in Prague, i'll be back here! Property was a great size and in a great location. Hanan is very easy to communicate with and really helpful. Lock in a great price for Hanan's Benedikt – rated 9.6 by recent guests! 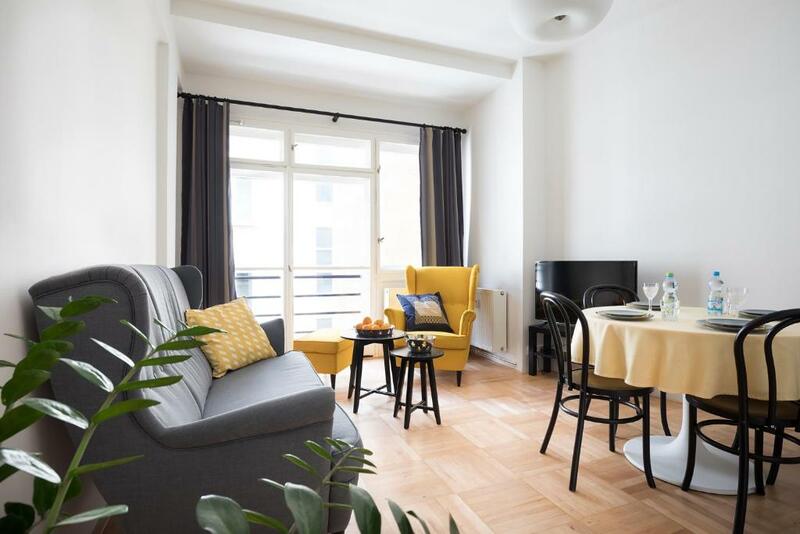 Located in Prague, a 6-minute walk from Municipal House, Hanan's Benedikt provides a living room with a flat-screen TV, and free WiFi. This apartment is half a mile from Prague Astronomical Clock. 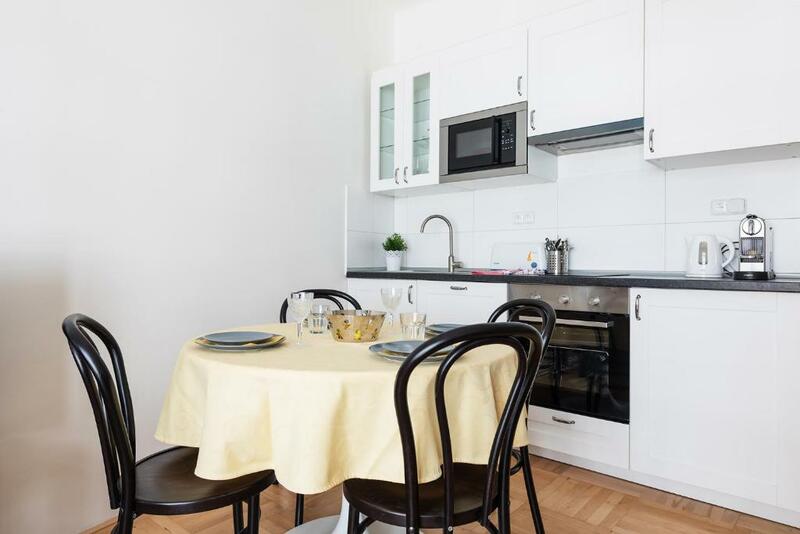 The apartment comes with 2 bedrooms and a fully equipped kitchen with a dishwasher. The apartment also has a seating area and a bathroom with a shower. Old Town Square is an 11-minute walk from the apartment. 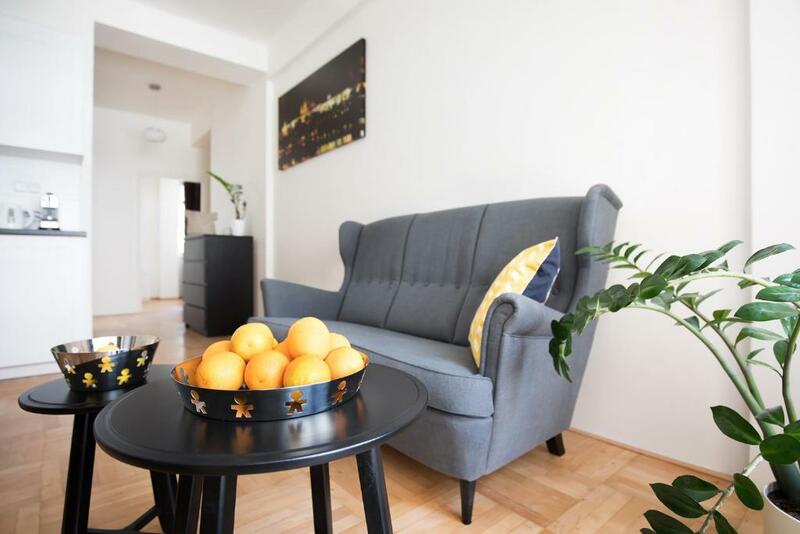 뀐 Located in the real heart of Prague, this property has an excellent location score of 9.8! When would you like to stay at Hanan's Benedikt? This apartment has a microwave, dishwasher and toaster. Central location. 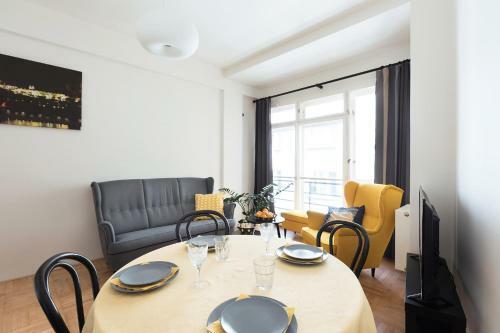 Completely renovated apartment in historical building. 2 comfortables bedrooms (each has 2 single beds) Living room with sofa, armchair, table and TV, fully equipped kitchen, Nespresso coffee machine. According to the local laws, it is expected to keep the silence and to respect building night rules from 10p.m. to 6a.m. In case of occurrence of any irregularities, the guest has the full responsibilities for the incurring costs. I lived with my family 10 years abroad: France, Sweden and Italy. Now I'm back in Prague and I'd like to share with you my hundred towers city. Hanan' Benedikt is located in the historical center of Prague. Close to the Old town square and Palladium. The area hosts plenty of nice restaurants, cafes and bars. House Rules Hanan's Benedikt takes special requests – add in the next step! Hanan&#39;s Benedikt accepts these cards and reserves the right to temporarily hold an amount prior to arrival. Hanan's Benedikt accepts these cards and reserves the right to temporarily hold an amount prior to arrival. Please inform Hanan's Benedikt of your expected arrival time in advance. You can use the Special Requests box when booking, or contact the property directly using the contact details in your confirmation. Hanan, our host was really friendly and welcoming. She met us outside the apartment and went through everything we needed to know. She also recommend places to eat and go and provided us with a map. We were able to contact her, if we had any questions. The place was secure and safe with a key and a fob to get into the property. 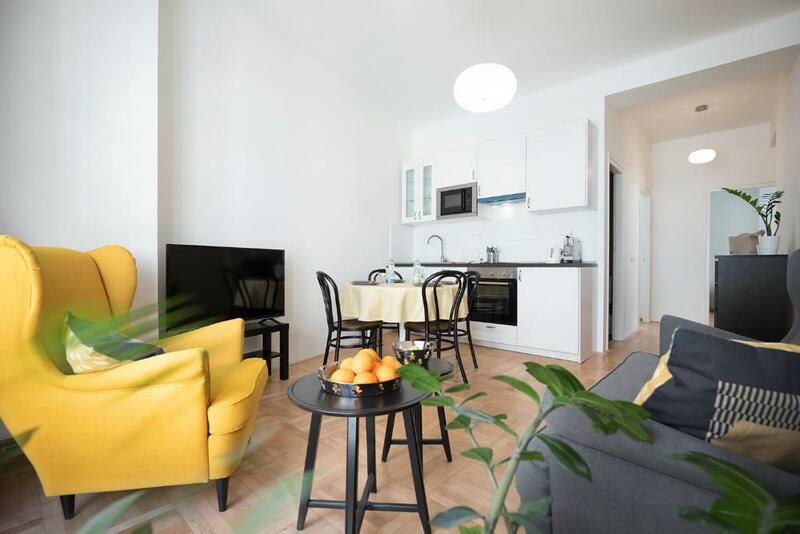 The apartment was not far from Namaste Republiky (Metro) which takes you to the end of the line (Zlicin) where you can catch the 100 bus to the airport and vice versa. Also it is really close to Old Town. Everything is within walking distance. We just walked everywhere. There are lots of restaurants close by. There is a bank with a cash machine nearby which lets you withdraw money free of charge (depending on your credit/debit card carrier terms and conditions). The living room was cosy and the kitchen had all the necessary equipment. The TV also had Netflix. There was two toilets one which was separate from the bathroom which was great. The rooms were decent size and the flat itself was a good size, very clean and you had lots of space to move around, put your stuff and relax. Hate to be at all negative but could have done with more mugs - English tea drinkers! Also, some throws to go on beds at night would be great. The heating is on if you want it but some of us are warmer in bed than others. Was'nt enough toilet paper had to go and buy some from the shop,also no tea spoons or cutting knife,needs more comfortable bed pillows,other then that very comfortable. It would be great if shampoo or body wash are included. 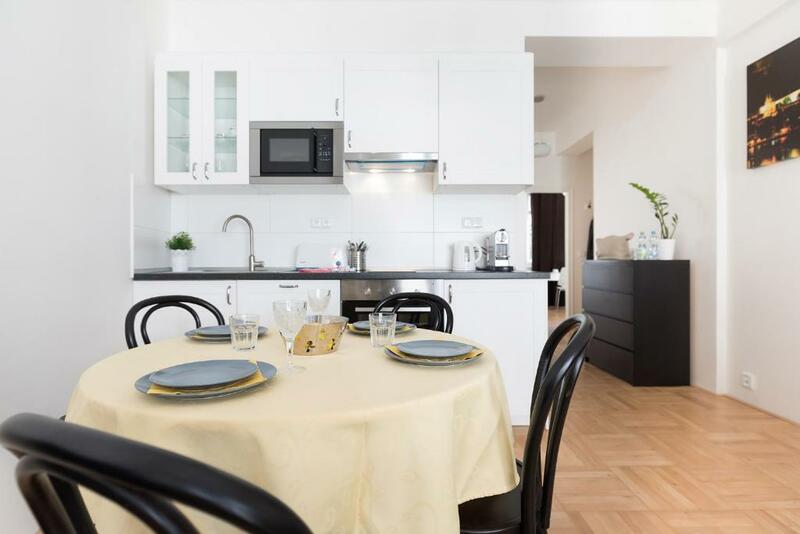 Very clean and neat, nothing more and nothing less, this apartment is a very modernized place sits on a historical building. This isn't necessarily a negative point, but it is something to be mindful of: - It is preferred that payment is made in cash, but it shouldn't be too much of an issue as ATMs are relatively close by. Hanan is such a lovely host and very helpful. My flight was delayed for 2 hours and she offered to pick me up from the airport and give me a lift because I was arriving very late. The apartment has a superb location and is very clean and comfy with all the facilities you need. I will definitely be back.